I am always looking for easy, healthy appetizers or snacks to serve when we entertain or when my family gathers for holiday celebrations. 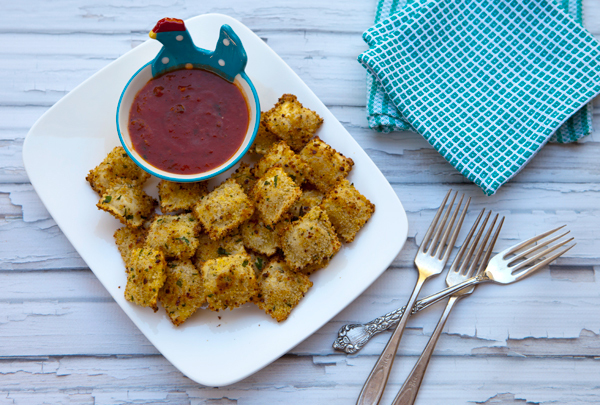 These crispy, golden brown pasta bundles are a hit with kids and adults alike. 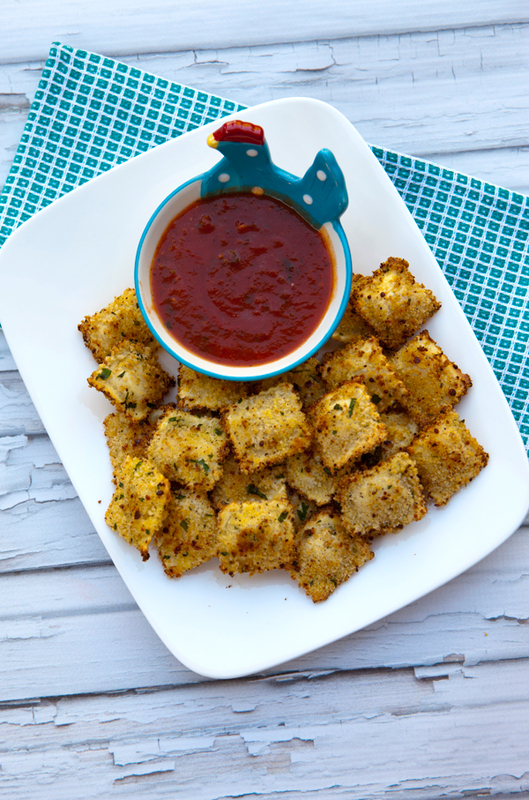 I used to always fry the ravioli until I discovered that baking them worked just as well and requires a minimal amount of oil. 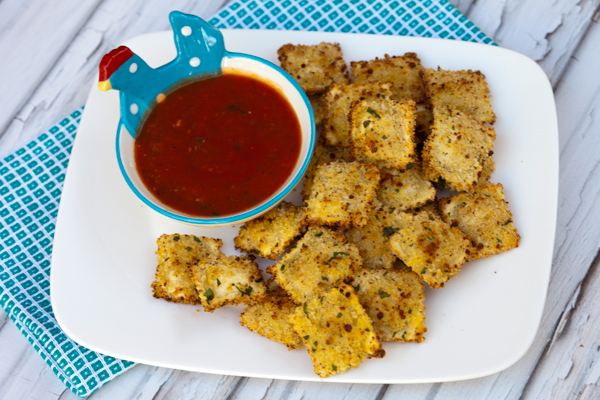 I serve these ravioli with a marinara dipping sauce, and if I’m serving them to adults I like to make the sauce on the spicy side. The ravioli do crisp up after they have been removed from the oven, so do not be too concerned if they are brown but still do not feel as crispy as you would like when you remove them from the oven. These ravioli are much lower in fat since they are baked rather than fried. In a small bowl beat the egg with the milk. In a separate bowl, mix together the breadcrumbs, cheese, parsley, salt and pepper. Line a baking sheet with aluminum foil and spray well with olive oil spray. 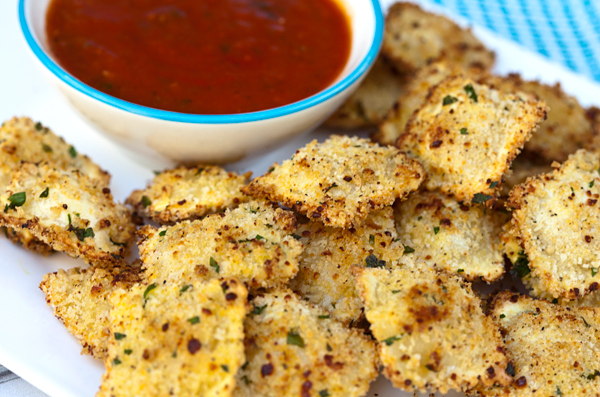 Dip the ravioli first into the egg mixture, then into the crumbs and place on the baking sheet. Continue with the rest of the ravioli in the same manner, then lightly spray the top of the tray with more olive oil spray. Bake the ravioli 10 minutes, then turn, and cook an additional 10 minutes or until the ravioli are golden brown. Cool 5 minutes then serve alongside the dipping sauce.